New Mexico does not have any laws restricting abortion whatsoever and it is one of 17 states that currently uses state tax dollars to fully fund abortions for women who have NM Medicaid. In 2011 alone 1,786 abortions were paid for in NM by Medicaid costing taxpayers over 1.1 million dollars. In 2011-12, Tara Shaver and Operation Rescue filed Medical Board complaints against the abortionists’ at all three abortion clinics in Albuquerque. These complaints were based on fourteen 911 calls that documented serious abortion injuries as well as a lawsuit filed against Planned Parenthood of NM. As a result, in November of 2012, late term abortionist Shelley Sella faced a Medical Board hearing after she violated the patient standard of care during a 35 week full term abortion in Albuquerque. Governor Martinez and Mayor Berry have been informed of these facts, yet abortion abuses still continue in Albuquerque. The New Mexico Medical Board has refused an investigation into a complication that took place at the Planned Parenthood surgical abortion center in Albuquerque. The New Mexico Medical Board and the Board itself has shown that they are unwilling to do what it takes to protect the public. The University of New Mexico runs its own free standing abortion clinic in Albuquerque. This clinic is being used to train Resident students to perform abortions up to 22 weeks gestation. Several women have endured serious injuries at this clinic. Tara Shaver and other pro-life advocates have met with UNM Board of Regents to bring awareness to all of the Regents about UNM’s abortion agenda. The Dean of the UNM School of Medicine Paul Roth is also fully aware of the danger the UNM abortion clinic poses to the public. None of these men have made an effort to bring about change at UNM and women’s lives continue to be in danger. 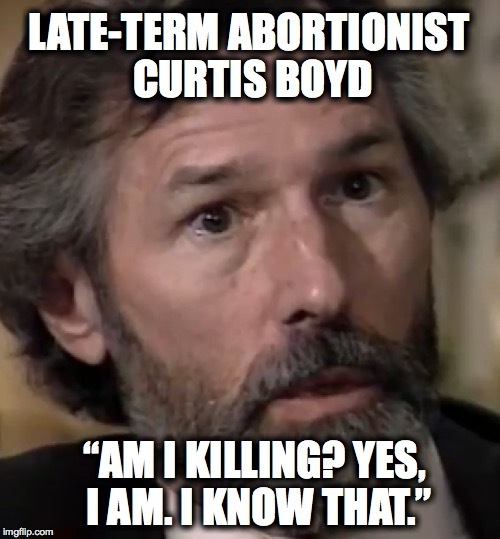 Abortion Supporter Bloodies Peaceful Pro-Life Activist in Violent Beating …later arrested. Did late term abortion campaign trigger pipe bomb attack by pro-choicers? Pro-Life PEACEFUL and LEGAL efforts in Albuquerque over the past 5 years…and the response by City and State officials! We obtained 14 calls placed to 911 which document serious abortion injuries at two local abortion clinics. 11 of them were from Late-Term abortion clinic Southwestern Women’s Options! Medical Board complaints were filed based on the serious abortion related injuries. Response by the New Mexico Medical Board…The New Mexico Medical Board [seeks] to change Board Regulations on Complaint Procedures! 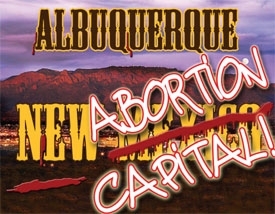 Response by City Officials…After the abortion vote, Albuquerque looks to change initiative process!